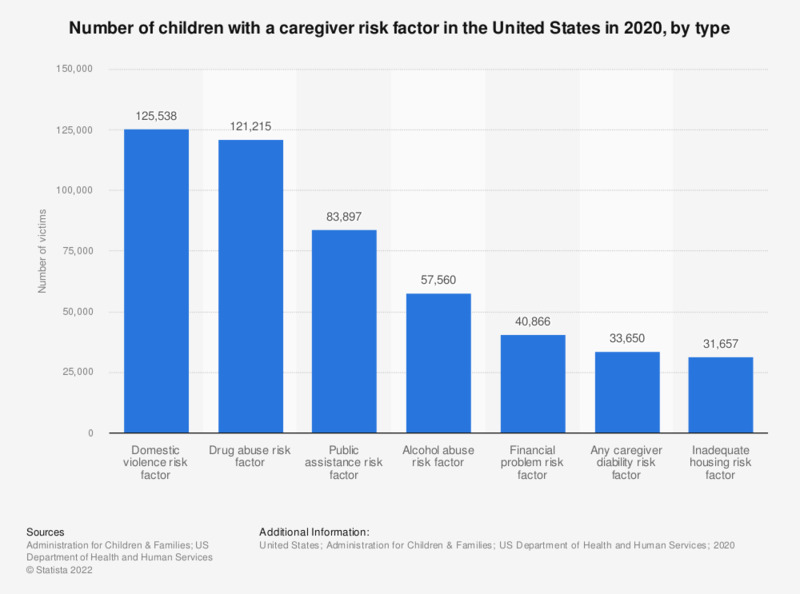 This statistic shows the number of children with a caregiver risk factor in the U.S. in 2017, by type. In 2017, about 112,319 children in the U.S. had a drug abuse caregiver risk factor. Only 30 states reported data for alcohol abuse caregiver risk factor, 35 states for drug abuse caregiver risk factor, 30 states for financial problem caregiver risk factor, and 36 states for domestic violence caregiver risk factor.